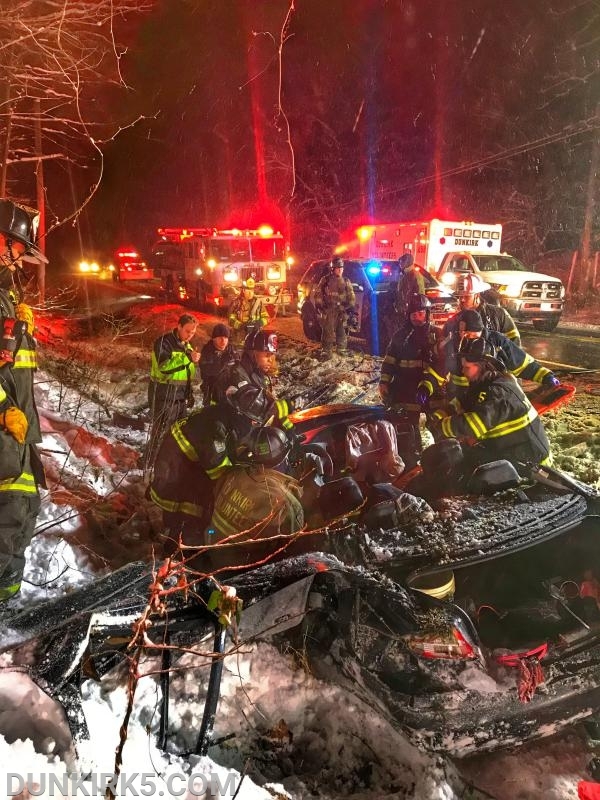 Sunday January 13 at 2232 hours, during the height of the snow storm, units from the Dunkirk VFD were alerted for the serious motor vehicle accident in the area of Route 260 & Brickhouse Road. 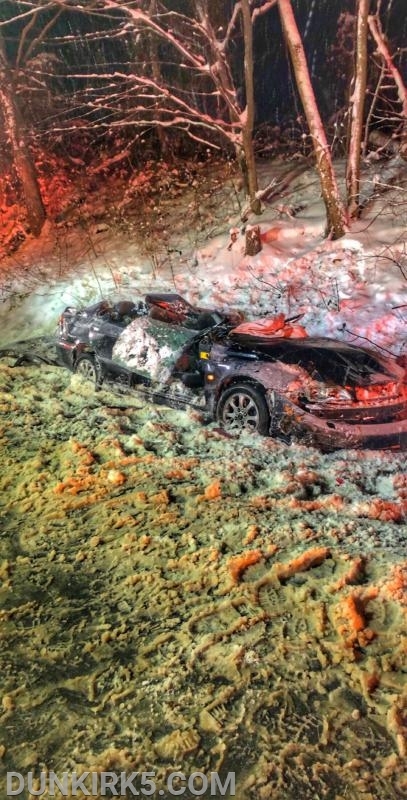 Dunkirk VFD Squad 5, Engine 52, Brush 5, Ambulance 59, Chief 5, Chief 5A & Chief 5B responded and found a single vehicle off the roadway, into a ditch with the driver trapped and unresponsive. 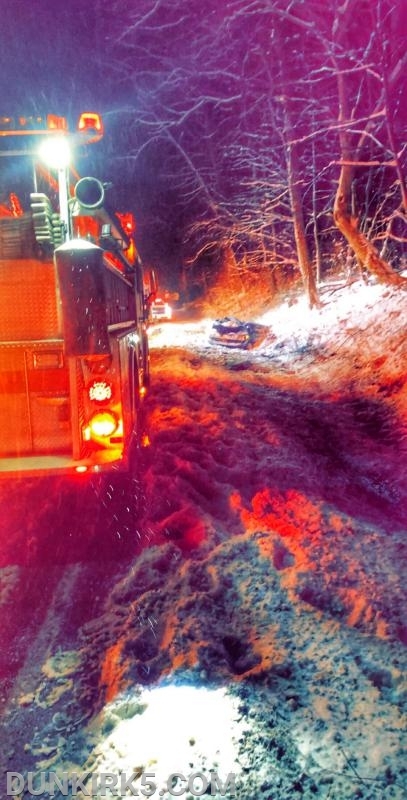 Crews immediately went to work stabilizing the vehicle and removing the sidewalls & roof to complete the extrication. 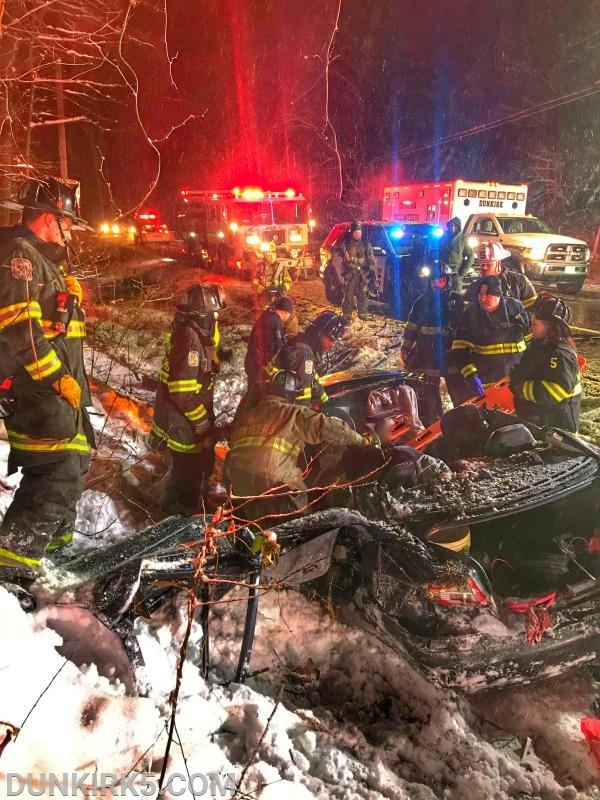 The patient was ground transported to a local trauma center.